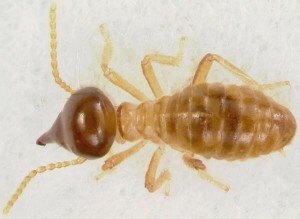 Termites are a crucial member of the worldwide ecosystem. They favor tropical and subtropical regions such as the Southeast Asian countries of Malaysia and Indonesia. Areas with higher temperatures and higher humidity tend to have higher populations of termites due to the fact that termites thrive on the consumption of damp wood. Because of their ability to break things down they are a very important part of the ecosystem. Termites have various roles in the ecosystem. Their roles range from nutrient cycling and habitat creation to creation of quality soil, to serving as food for multiple predators. Their ability to hollow out timbers provides shelter and increased wood surface areas that other timber-inhabitating creatures can live in. Termites form large mounds – and these mounds not only house termite colonies, but also other species of animals. A termites ability to build mounds for housing other animals is especially crucial in the plains in Africa. During the rainy seasons in Africa the plains are flooded. The mounds that termites build can be as tall as 9 meters (30 feet). Because of their ability to rise above the water level, they become refuge for small animals and birds looking to escape the flooding. Scorpions, birds, lizards, snakes, and small mammals are able to make their homes in abandoned or weathered termite mounds. Aardvarks dig caves and burrows in these termite mounds too. As this occurs more homes are etched out for larger animals including hyenas and mongooses. Termites have also been discovered as a major source of atmospheric methane – a prime greenhouse gases.